Today, from providing the information about doctors and hospitals, to book an appointment or take second opinions, all is just one click away. Not only this segment have attracted entrepreneurs, but also large fundings from many VC’s and accelerators. Still, there has been seen a gap between the common man and the online healthcare portals. Since word of mouth has always been the best method to judge a doctor, long lists of certified doctors and hospitals, often confuse people. Thereby pushing them, to use these portals just for booking appointments after taking information from their trusted ones.In order to bridge this gap, Ravi Virmani, Gaurav Gaggar and Saurabh Uboweja, came up with Credihealth in 2013. As posted on the website, the team aims to be the first port of call for customers having healthcare related need, doubt, or query. This Gurgaon based startup, as compared to other portals, provides personalized guidance in hospitalization services to patients. The portal works with a team of in-house doctors to sort out all queries and confusions of the patients. Also, there are dedicated discounts available on all doctor’s appointments. The interested user can reach them via website or their Healthline, or one can do live chats on website or on Whatsapp. After understanding the patient’s medical need, they are suggested suitable options of the best doctors available. The patients can go through all credentials of the doctors and can book appointments accordingly. Also, followups are done, until the team receives a feedback or they make sure that patient is now healthy. At this point, building trust among patients and making them believe that their medical problems could now be personally catered to by doctors through the internet was the primary challenge. “Surprisingly 2014 has been an overwhelming year for Credihealth. Within months, we have served over 20,000 patients for their hospital needs. Such a response has given us tremendous encouragement,” said Ravi. There are 200+ contracted hospitals across Delhi/NCR, Kolkata, Chennai, Mumbai Region and Hyderabad, and has achieved a GMR of around $1 Mn. Since Credihealth is focused on Hospitalization, they are currently targeting digital marketing at people looking for tertiary care such as a neurologist or oncologist. The portal till date has got a traction of 450,000 unique visitors and 3000+ active members in 5 health communities. With its targeted online advertising, it is reaching more than 10 million people via Google, facebook and other media. Also, it runs a health blog on the site which currently have around 1000+ articles on medical conditions and 250+ exclusive doctor videos. Credihealth team plans to raise an funding round soon and launch services in 15 major cities across the nation this year. Eventually, they want to cover the entire Indian geography, with a focus to help people deal with all non-clinical pain points during their hospital journey. There is a 17-18% rise of CAGR in the healthcare industry and founders see a 40% increase in the number of people making informed decisions in the digital healthcare space. Online healthcare startups which have recently raised fundings include Lybrate ($1.23Mn), HelpingDoc ($1.5Mn) and OurHealthmate ($440,000). The healthcare industry is predicted to grow from $40 billion in 2010 to $280 in 2020 and e-healthcare services are estimated to reach approximately 10% of this figure. Of total healthcare revenues in the country hospitals account for 71 per cent. Per capita healthcare expenditure in India is estimated to grow at a CAGR of 15.4 per cent during 2008-15 to reach US$ 88.7. Private sector’s share in healthcare delivery is expected to increase from 66 per cent in 2005 to 81 per cent by 2015. Inc42: What is the market opportunity in the online health care segment? Piush: The market opportunity here is significant, to say the least. In an increasingly technology-based world, it is imperative and inevitable that our medical care and hospitalization channels come online. This combined with one of the world’s largest populations that are in need of a medical information and infrastructure overhaul lends itself well to the expansion of the digital healthcare segment online. As per a 2010 McKinsey report, the Indian healthcare industry has reached $40 billion and is estimated to reach $280 billion in 2020. The current bed utilization is around 60% or less and we estimate that online players will increase this by at least 10-15%, if not more over time. In the last one year of operations, we have seen a 40% increase in the number of people making informed decisions in the digital healthcare segment and we have every confidence that we will see this trend increase by many folds in the coming years. Inc42: Where do you see this space 5 years ahead? Piush: The online healthcare industry is anticipated to generate an estimated 10 – 15% of total hospital revenue and Credihealth aspires to capture 30-40% of the market share. With internet / smartphone users in India set to increase by almost 20% by 2017, and the capability for the average Indian to come online expanded considerably, we expect to see a significant increase in the number of people able to benefit from our services. 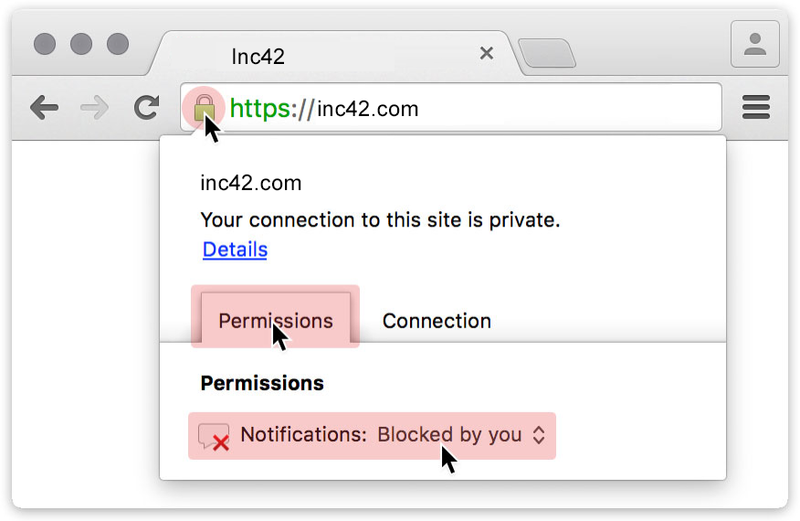 Inc42: What is your say for new entrants in this space? Piush: New entrants do not have it easy in a country with over 1.2 billion people. If however they can create a healthcare service providers’ network and deliver their proposition successfully, they increase their chances of standing out exponentially. Inc42: How is the Indian market different from global markets? What potential do you see in Indian markets as compared to portals abroad in similar space? Piush: The global market and consumers alike have accepted this technology enabled healthcare solution as can be evidenced across all major markets around the globe. The macroeconomic momentum in this industry will continue to drive consumer adoption in India as well. The differences in the global market or the West are that a majority of patients are utilizing medical insurance, where the insurance company negotiates the costs and provides access to hospitals and doctors. On the other hand, the Indian market has a greater number of cash patients without insurance, who thus have to fend for themselves, for information, access, and costs of the medical procedure. Logically the Indian patient seeks 2-3 informed options before making the decision best suited to their personal requirements and this is where Credihealth steps in to help, and seeks to fulfill the Indian patient’s needs for transparent and credible information on healthcare costs and procedures. Inc42: What do you look into a company before investing? Piush: With over 30 years of building and mentoring companies across USA, Canada, China & India, Hausela® Capital Partners team and I look for 3 main factors before investing in a company. Big ideas: Credihealth is building a technology enabled solution that will bring premium healthcare access to the common man. This should be a right and not a luxury. In the same light, the company has a clear business proposition and its forte lies in the concierge service style delivery of credible, transparent and detailed information to enable and empower patients in their decision-making process. This is a big idea. Differentiators: We look for innovative ideas that can revolutionize industries. Credihealth differs from other online startups as it is not just a ‘book appointment’ portal and seeks to provide a personalized end-to-end guidance to the patient by qualified in-house doctors, along with transparent price quotes for treatment and procedures direct from the healthcare provider… all of which empowers the patients to plan their own best course of action to receive treatment. In addition, CrediHealth is only scratching the surface of community-based sourcing of knowledge, advice and support. If you haven’t had a chance to check out their virtual clinics, you should, and again this is only the beginning. Team: we look for startup teams who have the inspiration, drive as well as capability to pursue a big idea, and work with them to bring together the funding and resources to help them succeed. The idea of providing a companion, right from evaluating options to post-op care, is a unique concept. However, a high level of monitoring would be required in order to see that it does not get turned into another booking portal. The data above clearly highlights that this sector is far away from saturation right now. There is enough competition as well as opportunity and it would be worth watching how upcoming startups will maintain this innovation trend.